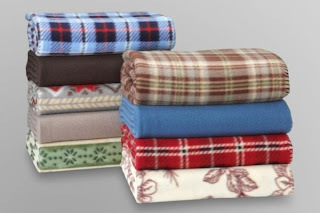 Head over to Kmart.com to score Cannon Fleece Throws for only $3.99! (reg $9.99) These are not available for home shipping, but you can pick them up for FREE at your local store. There are 9 colors to choose from and they claim to be super light, but super warm. They are 50x60" in size and are machine washable.